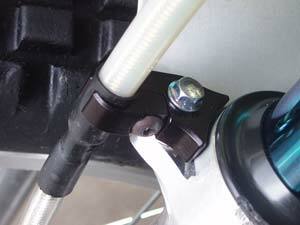 This trick little piece mounts to the front fork and clamps the front brake line in place. 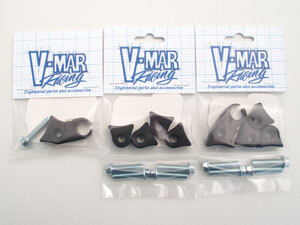 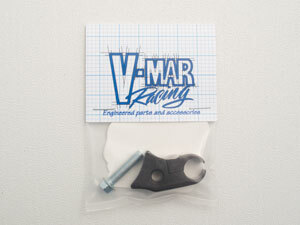 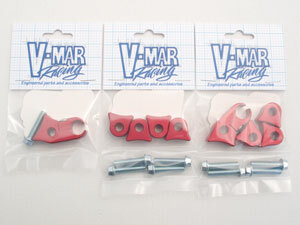 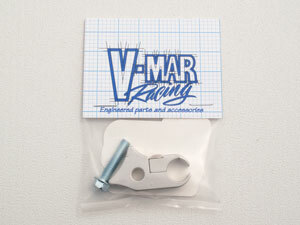 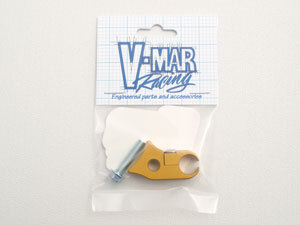 it can be placed on top of the fender mounting plate on most bikes, or it can be placed under the fender mounting plate to raise up the front fender in conjunction with a set of our fender spacers. 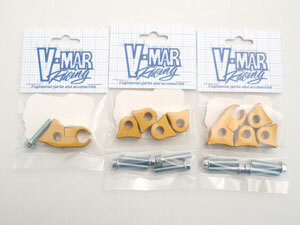 (See the description for the fender spacers). 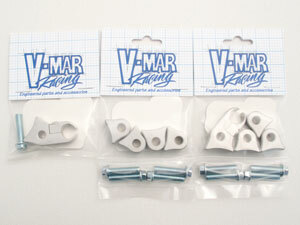 Sold individually or as a set with three fender spacers and four new bolts. 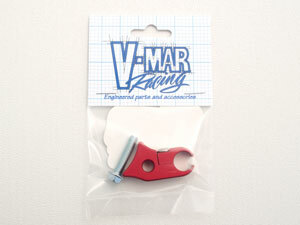 Designed for the Montesa, since I think the zip tie looks ugly, but will fits most bikes. 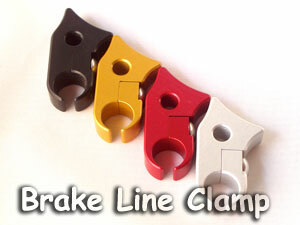 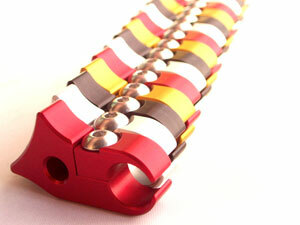 Avail in black, red, gold or clear anodized finish.